The GWD Edible Garden, inspired by the "growing" local food movement, is dedicated to all the urban and suburban farmers in Santa Barbara County. 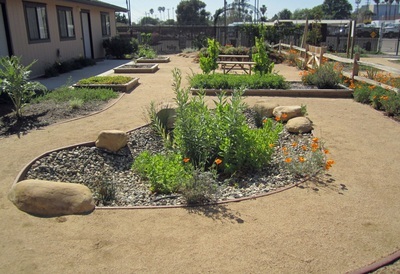 It was designed as a demonstration garden that showcases edible plants and minimizes the need for potable water for irrigation. It features various mulching, soil building, and water retention techniques. When rain falls, water is kept on site in rain gardens, rain barrels, and earthworks. 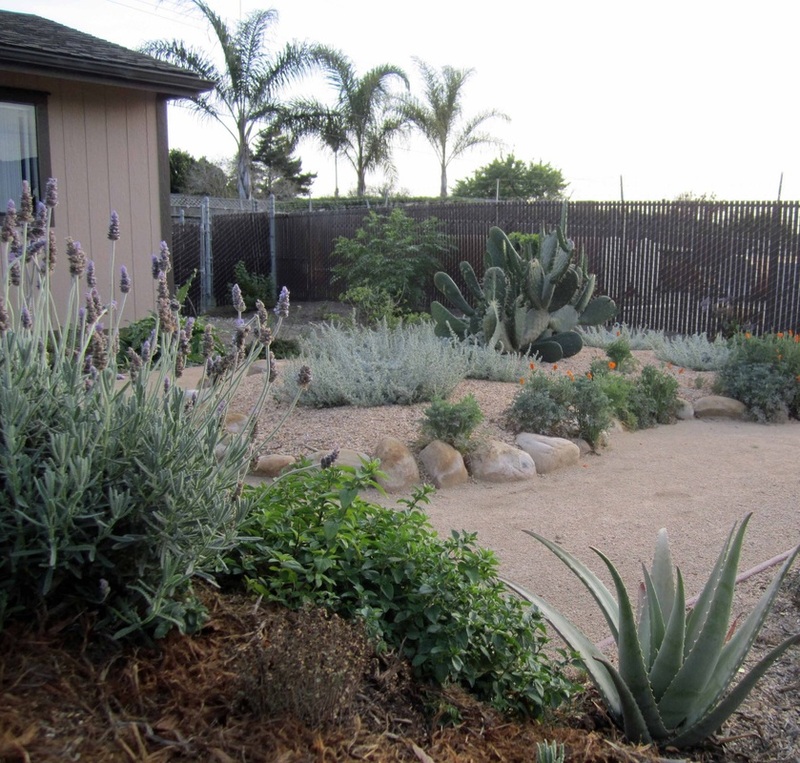 Rainwater from the roof is also fed into a dry pond, known as an infiltration basin, or Ocean Friendly Garden. 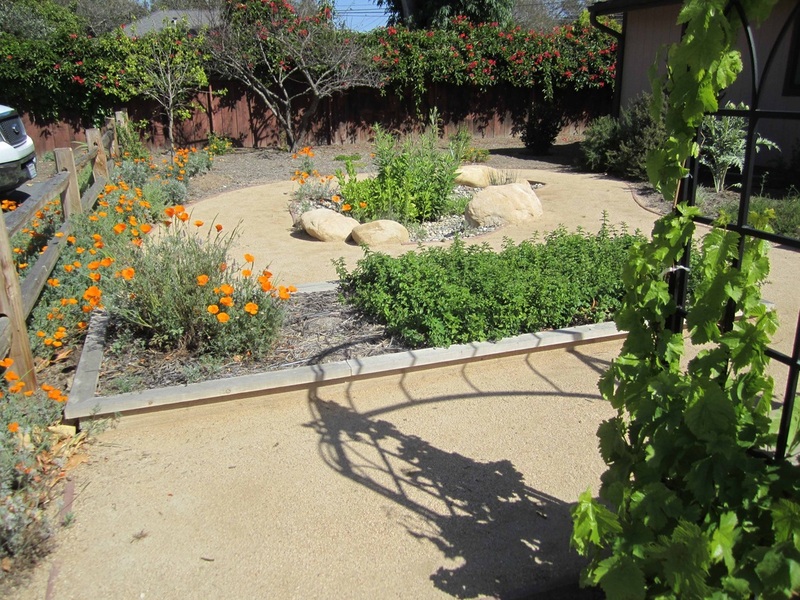 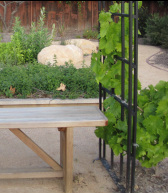 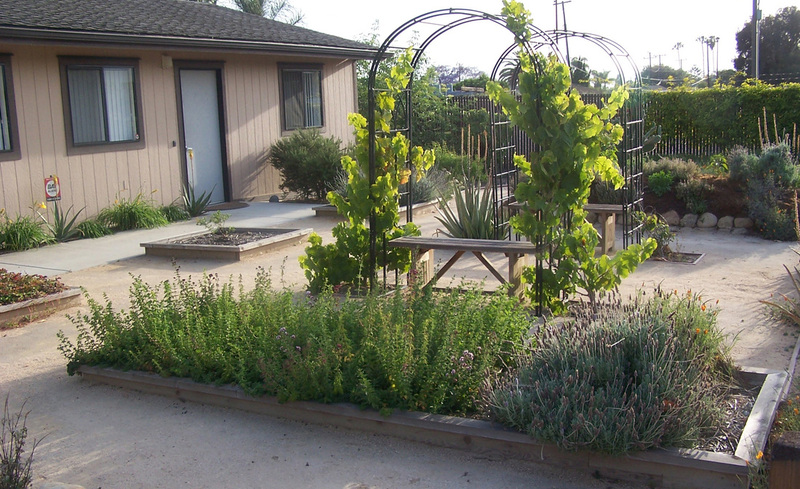 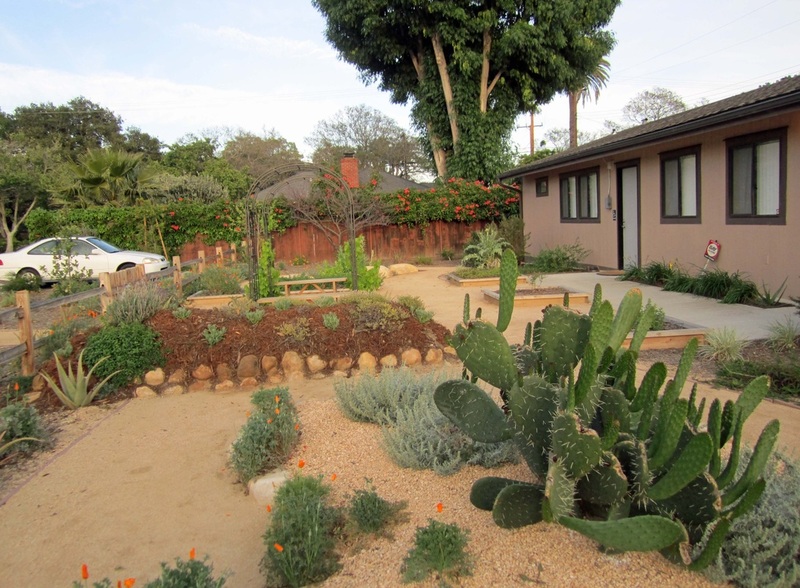 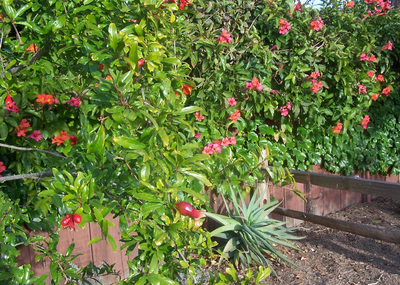 A wide variety of edible perennials, shrubs, and trees demonstrate the possibilities for growing food in Santa Barbara's temperate climate. Unusual and easy-to-grow perennials such as passionfruit, guavas, lemongrass, and pomegranate are combined with fruit trees, herbs, berries, and native plants that attract beneficial insects. 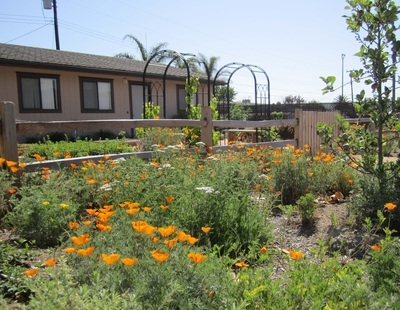 The GWD Edible garden was featured in the Spring 2014 issue of Edible SB Magazine, and is open to the public from 9 am to 5 pm everyday. 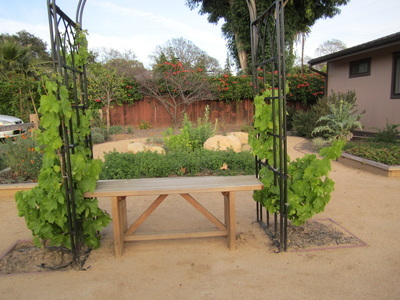 Meg was the lead designer and project manager for this garden while an employee of Arcadia Studio.